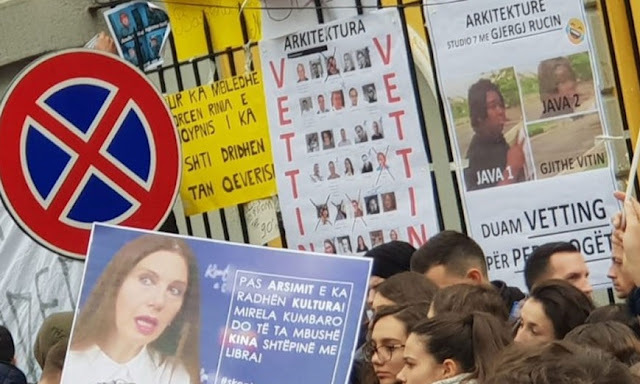 The student protest has entered today on the fourth day and thousands of young people attending public universities in Tirana have gathered again in front of the Ministry of Education to demand the fulfillment of the 8 points-conditions they have imposed to Education Minister Lindita Nikolla. In today's protest, which coincides with December 8, ie "Youth Day", citizens, parents and grandparents have joined the rally of the students. The students started the protest today with the call: "Minister that doesn't know reading, your are Education Minister" while on the way students have made this call for the citizens: "Join us, get up from Coffee, get out of the Bars. We are many, we do not retreat! " An overtaking in front of the Prime Minister was avoided by "Revolted" students who said the deviation of the road was because this is not a political protest, but for their student rights. And as they have stressed that if they demands are not fulfiled, they may enter into a massive hunger strike. Students have also launched an uprising against many of their professors for whom they claim to be bribing for the exams. 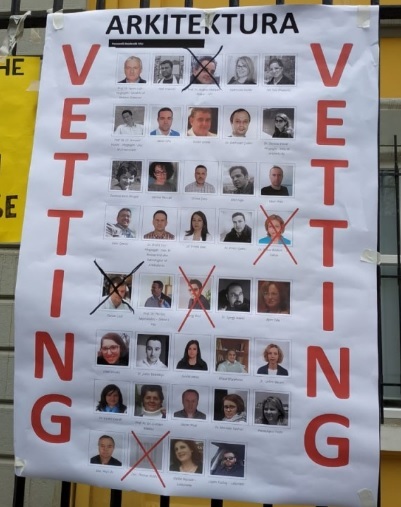 They hold banners asking vetting for professors and teachers as they claim are corrupted. There is also a kind of irony for the Minister of Education Lindita Nikola and that of Culture, Mirela Kumbaro. A student has read the megaphone in his hand, the names of the professors who ask money in entrance of the exam or the course and then everyone in the shouted in chorus: Shame, shame, shame! "The corrupt pedagogues are the plague of the Albanian society," the students shouted. Sabri Hoxha, 100 euro exam in Medicine.